The Nile is arguably the most famous river in the world. For millennia, the search for its source defeated emperors and explorers. Yet the search for its source also contained a religious quest - a search for the origin of its divine and life-giving waters. Terje Oestigaard, “The Religious Nile. Water, ritual and society since ancient Egypt”, I.B. Tauris, 2018. Terje Oestigaard reveals how the beliefs associated with the river have played a key role in the cultural development and make-up of the societies and civilizations associated with it. Drawing upon his personal experience and fieldwork in Africa, including details of rites and ceremonies now fast disappearing, the author brings out in rich detail the religious and spiritual meanings attached to the life-giving waters by those whose lives are so bound to the river. Part religious quest, part exploration narrative, the author shows how this mighty river is a powerful source for a greater understanding of human nature, society and religion. 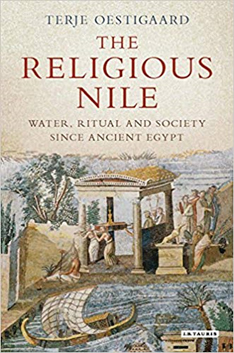 Join us to discuss with the author, as well as with journalists and researchers from the Nile basin, if and how we should take religious seriously when practising water science.